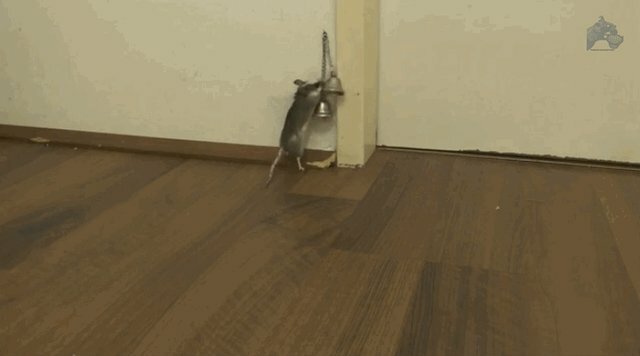 Grisu the mouse has a bit of a dilemma: he'd like to go into this room, but, being a small creature, he cannot open the door by himself. But wait! 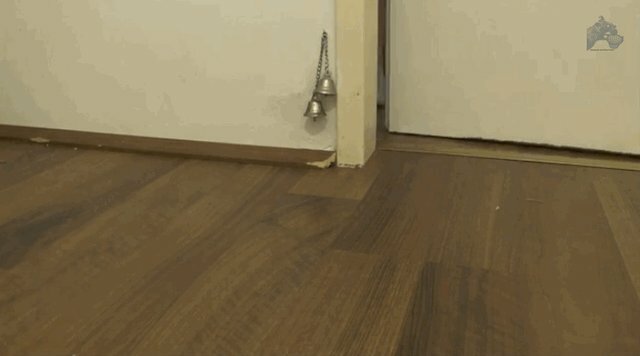 There are these handy bells to let his (much taller) friend know that he would like to come in! Hmm... looks like it might take a few tries. Humans can be hard of hearing sometimes. Victory! Grisu's politeness pays off. Just goes to show that being small in stature doesn't mean you can't get things done! 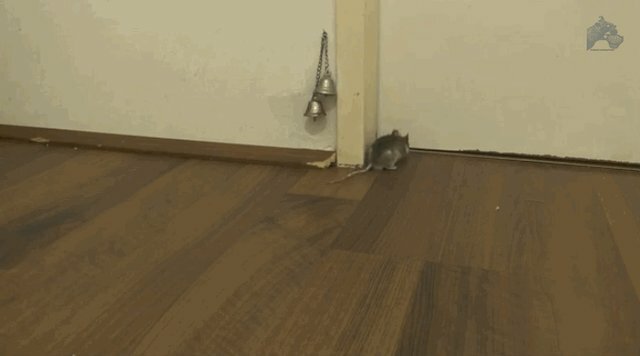 Mice (like Grisu) can actually be surprisingly brainy and have excellent spatial memory, so they can learn to associate certain positive outcomes with specific locations. Check out Grisu's cool trick below!